Continental Western Group, LLC is a commercial insurance provider in the Midwest. Continental Western is not a health insurance company, although they do offer a couple of health insurance solutions to businesses, such as workers’ compensation insurance. Continental Western has a very comprehensive website that provides an extensive list of the types of companies that they service. However, what they do not share is how long they have been in business. 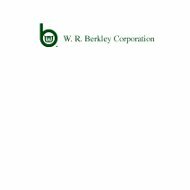 They were acquired in 1986 by the W.R. Berkley Corporation as part of their expansion. What is interesting about Continental Western’s site is that they do not provide a list of the products that they offer. What you have to do is go to their products page and select the type of industry to which you belong. Once you do that, you are then provided with a list of insurance products that are available for your business. Continental Western uses only independent agents and brokers to sell their insurance products. Fortunately, they do offer an agent-finding tool on their website to help you find an agent in your area. The agent finder gives you the option your zip code, how many miles outside of your zip code you want them to look (this can be up to 250 miles), your state, city, and your name. In addition, you can do a search with only one of these fields filled, with the exception of your name. If you search by state, you will get a list of every agent in that state. For example, if you choose Colorado, you will get 233 results in your search. For this reason, you will want to use your zip code to make your search to narrow down your results. Continental Western does not have an online claims center to file your claims. They do, however, have a 24/7 claims call line for you to report your claim. What’s interesting is that the first thing that you see when you click on the claims link on their website is a disclaimer that says just because you have a claim does not mean that the insurance company is committed to fulfilling that claim. This is unusual because most insurance companies will place that information somewhere else in the page, out of the way so that it does not cause any alarm. Continental Western claims that the claims process can take anywhere from a couple of days to weeks to resolve. Because these are commercial claims, much of what happens depends on what type of loss you are experiencing. A machine exploding, for example, will warrant far more investigation than an employee causing an auto accident will. At the time of this posting, Continental Western had nine positions open with the company, all of which were located in Des Moines, Iowa. Continental Western does not offer an online quote system to provide you with quotes for their products. In order to get a quote, you will need to discuss your needs with an agent. Commercial insurance is a lot different from individuals insurance and many things have to be taken into consideration before the company can provide you with a quote. In fact, if you have a high-risk company, they may require you to submit to an examination of your business to ensure the risk is not too much for the company to assume. This is typically on the case in workplaces where accidents are commonplace. If you started reading this article because you were looking for a company with health insurance, never fear. Simply enter your zip code below and you can compare health insurance quotes between multiple companies right now!